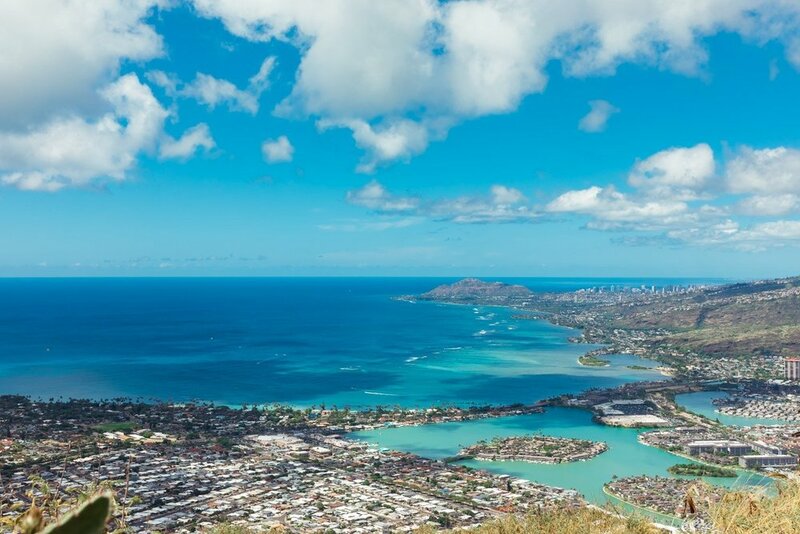 As many before us, it had always been a lifelong dream to visit the islands of Hawaii with is picturesque turquoise seas. The time had finally arrived for us to cast eyes on the waves rolling against the sandy shorelines, the cascading green hills behind forming a magical backdrop. The butterfly’s had slowly crept their way into our stomachs and made a profound cocktail of wonder and anticipation. We are both surfers, upon whichever method you choose to measure this. Morg being more skilled in this art than I. This no doubt, had a big influence on our excitement levels for Hawaii. We had long dreamed of the moment that we could play in these waves. 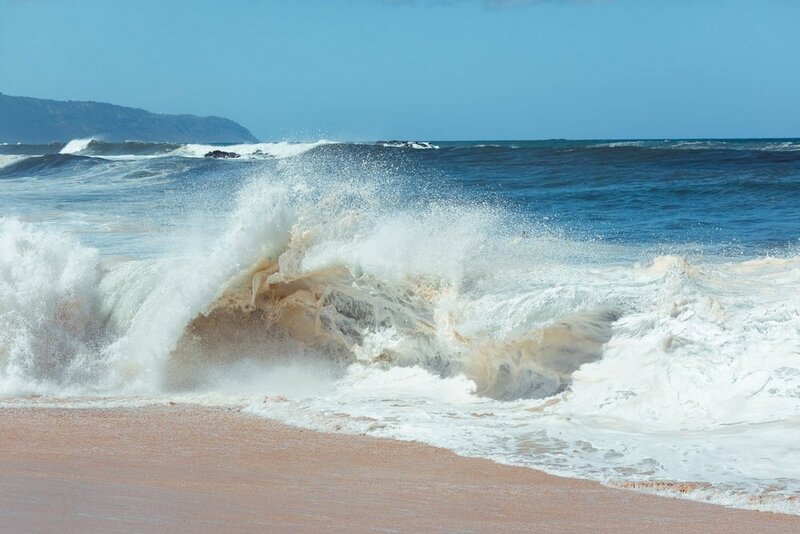 The same waves that had made countless magazine covers, billboards, and blockbuster movies. 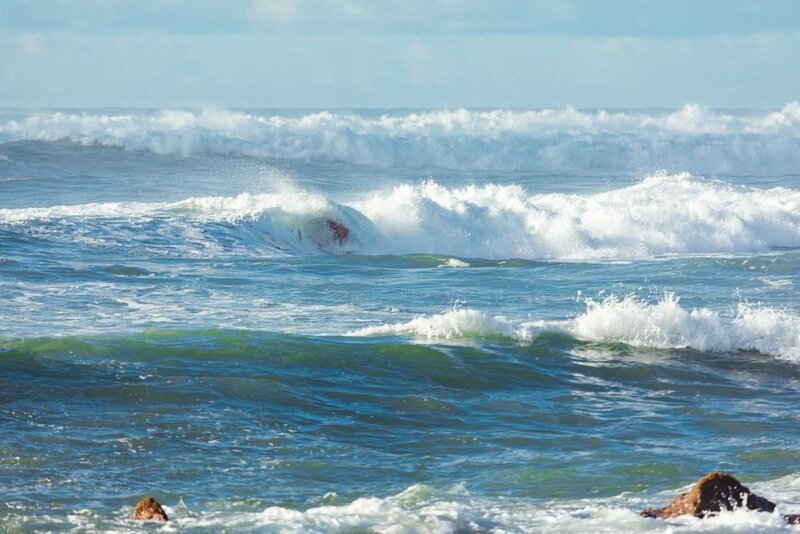 From the salty blonde haired grommets to the lifelong diehards, everyone knows that the post surf endorphins are a given. However if you prefer to indulge in the sun’s rays with an open book you’ll love The North Shore. There is a little slice of heaven to be found for everyone. Lagoon like beaches shaded by palms, can be discovered around every corner. For those willing to adventure further and explore the island, finding their own Shangri-La is certain. That’s what makes this formation of Islands so magical. There are endless things to do, to explore and to indulge in. Our time on Oahu was spent lifting foot above foot on amazing hikes. Letting our hair gain golden glimmers while our bodies swayed with the motion of rolling waves in the sea. Gazing at this magical seaside landscape and filling our bellies with an array of delicious local roadside food. I could sit here and write line upon line of things to do and see. However, I feel some space should remain blank for you to create your own memories. So instead, I will share our favourite moments and travel hints for the magical islands of Hawaii. It takes only one minute in this paradise to see why people never leave. Travelling means fully indulging in the local culture and living like the locals do. Our mornings were spent scoffing tropical fruits from roadside markets (be wary of pricing ~ these local stalls often have an unexpected price tag that is waived in bigger local grocery markets). Food can be quite expensive in Hawaii, and we often found it cheaper to eat out locally than to do a large grocery shop and attempt making meals. 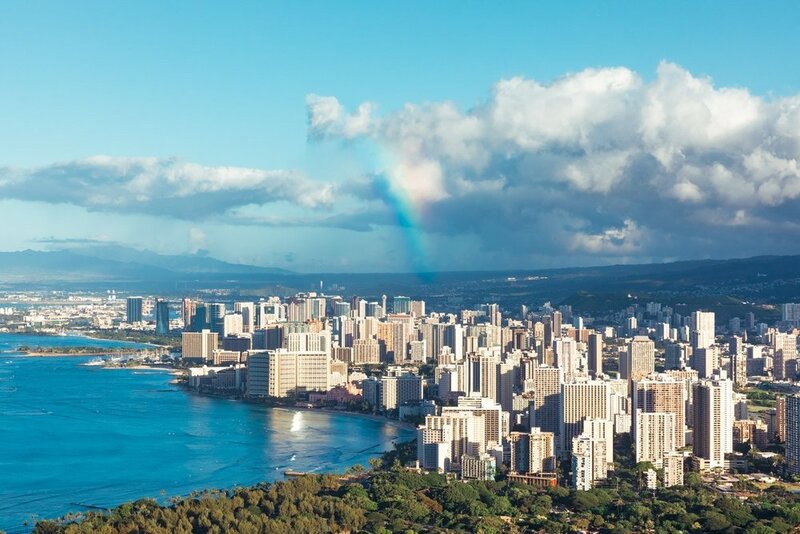 The North Shore provides and array of wonderful and diverse food trucks offering everything from local poke bowls, fish tacos, Thai, Indian and fresh shrimp served up on a bio-degradable paper plate. You will find these food trucks scattered along the North Shore, however Shark’s Cove provides a nice little hub and variety of them. This is a popular dinner destination, as you can feast on numerous dishes, whilst watching the sun go down and chat with many locals. Most nights they will also play a surf movie on the big screen once the sun has set. So grab yourself a chocolate coated banana or cold beverage, sit back and watch the worlds best sunset. NOTE – Don’t forget to tip. We have found on our travels through western countries a lot of Australians forget tipping. The wage is far below the usual minimum in our country and these guys make up for it with tips for there good service. Anything between 20-30 % is polite. Undoubtedly people have different budgets for resting their heads down on a pillow. However, when travelling we have always found AirBnb to be a wonderful and eye opening experience. Staying with locals can often help you gain local knowledge of places to visit and things to do, as well as the opportunity to make friends. We stayed in a lovely little house on Wailua beach with wonderful hosts Lori and Ryan. They were abundant with knowledge on the islands and in particular great hiking spots and beaches to explore. Adventure driven, we were up and about before the sun each day. Sunrise to sunset was filled with hikes, rainforest walks, snorkelling and surfing. There wasn’t a day that passed by without physically exceeding ourselves, and that said we would fall asleep each night with sore limbs and happy hearts. Below is some of our favourites. Diamond Head, Ehukai pillbox hike, Koko Head Trail and Lanikai pillbox hike. ALL OF THE NORTH SHORE. 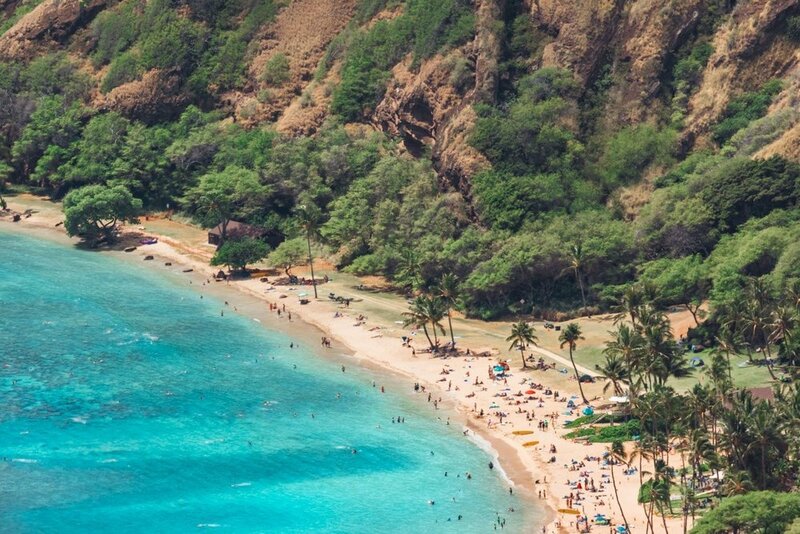 Hanauma Bay offers easy access to some amazing snorkelling and scenery.Waikiki is fun for a visit and to catch some more mellow waves. Beware of the millions of other like minded swimwear clad surfers. 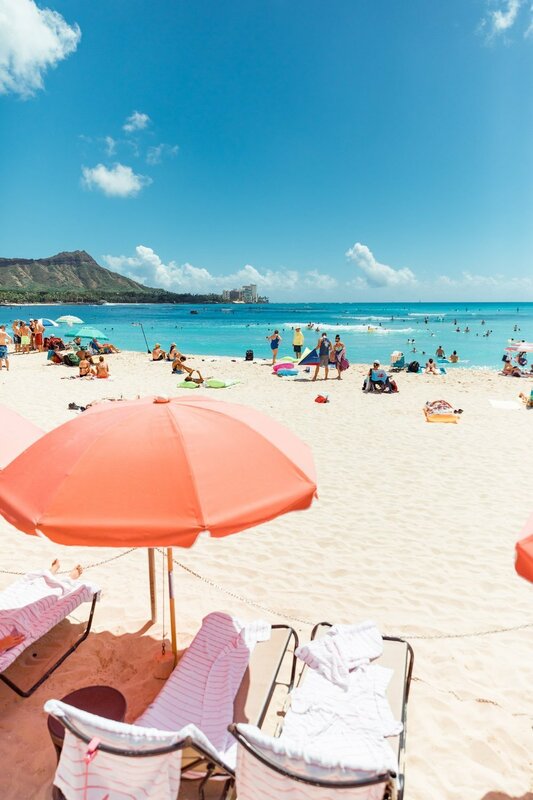 Also Lanikai Beach is a great one and is often considered to be one of the most beautiful beaches in the world with its pure white sand and crystal clear waters.